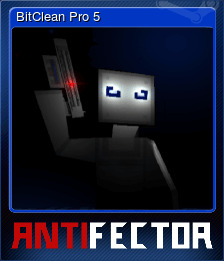 ANTIFECTOR | Steam | Earn Points for Free Games! 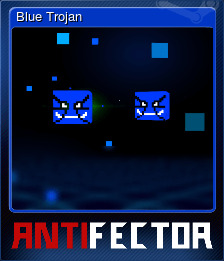 Enemies: Red trojans, blue trojans that steal your ammo, shooter viruses, aggressive demon viruses, and even procedurally generated viruses that will chase and try to destroy you. 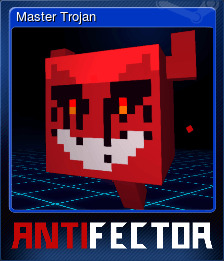 Bosses: Virtual Arena has bosses: they come out every 25 levels, first Master Trojan and then huge procedurally generated trojans. Infinite: The four gamemodes are infinite, with the Virtual Arena as the one with progressive enemies and a boss. Weapons: Armed with a rifle at first with a shotgun as the alternative shot, you can get to unlock a powerful pistol and even a light saber. Unlockables: Use the Root Folder map to check what you can unlock by getting high scores in different game modes. Music: Action-packed music to motivate you through the level. Bombs: to use when you&apos;re completely surrounded or there are many of them coming at you. 4 fresh gamemodes: with a progressive difficulty and different with each other, survive as long as you can in all of them. Progressive level with rising music depending on the enemy count. Includes the Master Trojan boss. Hell-ish game mode with a very aggressive virus. Watch out, they come from everywhere. 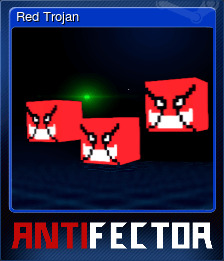 Get a turret everytime you defend a file from the deadly red trojans. They spawn fast, and they're plenty. The hardest game mode. 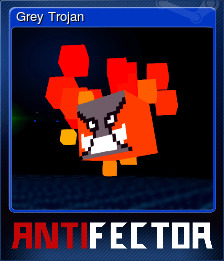 Try not to fall, deal with red trojans and viruses that can shoot you while you have to constantly move and avoid random bombs spawning in different sections of the map. ANTIFECTOR will be purchased for 7260 points.